Dragon Ball Legends is an amazing action game developed by Bandai Namco Entertainment. Battle it out in high quality 3D stages with character voicing. Enjoy 1 on 1 action against rival players from across the globe. Play as the all new character designed by Akira Toriyama. 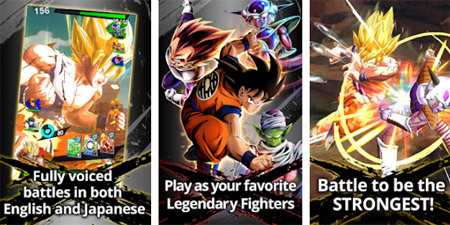 Experience a new adventure with Goku and all your favorite characters. Unleash fierce combos and explosive special moves with the touch of a finger. Power up your own character and crush the competition. If you get stuck in the game, check out the video walkthrough and gameplay for the game. This entry was posted in Android Games, iOS Games, Mobile Games, Walkthrough and tagged Dragon Ball Legends Cheats, Dragon Ball Legends Game, Dragon Ball Legends Gameplay, Dragon Ball Legends Guide, Dragon Ball Legends Hints, Dragon Ball Legends Review, Dragon Ball Legends Solutions, Dragon Ball Legends Strategy, Dragon Ball Legends Tips, Dragon Ball Legends Walkthrough by Marvin. Bookmark the permalink.